At Creighton University School of Pharmacy and Health Professions, you’ll have the opportunity to share your knowledge and experience in health care with individuals in international locations. For more than 10 years, 200+ students have traveled outside of the United States for clinical rotations. Every year, the number of students and sites increase as students realize all the possibilities of designing their fieldwork and doctoral experiential component experiences. We work diligently with each student to help them successfully establish a site and carry out their experiential learning. Creighton University works with numerous university hospitals with inpatient and outpatient settings to provide students various learning experiences across China including Level I fieldwork and doctoral experiential learning. China is in Eastern Asia bordering the East China Sea, Korea Bay, Yellow Sea, and South China Sea, between North Korea and Vietnam. It is very mountainous, has high plateaus, deserts, plains, deltas and hill. Additionally, China has a very diverse climate; from the very tropical in the south to the subarctic in the north. Over 1.3 billion people (1,379,302,771) call China their home with Mandarin being the official language. English is also widely used in China. It is also the largest county completely located in Asia and is the 4th largest country in the world. Chile was created as a level ID fieldwork where students work with the University of Magallanes in Punta Arenes and visit inpatient and outpatient hospital clinics, as well as schools. Chile is located in southern South America, bordering the South Pacific Ocean, between Argentina and Peru. Chile has over 17.700 million (17,789,267) people living within its borders with Spanish being the official language. In comparison to the US, it is slightly smaller than twice the size of Montana. Its climate ranges from being desert-like in the north, Mediterranean centrally, and cool and damp in the south. It has low coastal mountains, a fertile central valley and rugged Andes in its east. CHIP is a cross-cultural program that promotes international collaboration between health science schools at Creighton and medical universities and hospitals in China. As a U.S. student, you’ll have the opportunity to interact with health care professionals from a different culture and experience a new health care perspective. Prior to traveling abroad, students enroll in an interprofessional two-credit hour China Immersion and Experiential Learning course that increases their cultural competency and leadership potential. Through a series of seminars, you’ll prepare for successful experiential learning during a one-week intensive in China. Participate in a 3-week cross-cultural experience in the Dominican Republic that focuses on providing occupational therapy education and treatment. Utilizing the tenets of the International Classification of Functioning, Disability and Health (ICF), you’ll explore the Dominican culture while providing health-related education to multiple community partners. You’ll also work alongside students and practitioners to utilize promotoras or lay health providers and address the needs of children with disabilities in the barrios of Santiago, Dominican Republic. The tropical Dominican Republic (DR) is one of the oldest fieldwork sites offered to Creighton students. It is the eastern 2/3rd of the Hispaniola Island in the Caribbean east of Haiti, between the Caribbean Sea and the North Atlantic Ocean. The DR has rugged highlands and mountains with fertile valleys in between. There are more than 10.7 million (10,734,247) people calling the DR their home and Spanish as their native language. OT students will mostly be working in outpatient pediatrics in the DR. Contact Michelle Messer, OTD, OTR/L at MichelleMesser [at] creighton [dot] edu if you have questions. 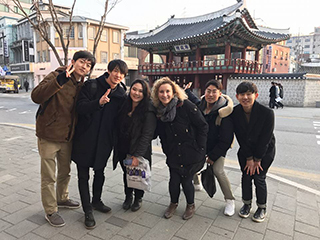 Creighton University works with Yonsei University in Wonju, South Korea to provide students with Level I fieldwork opportunities. 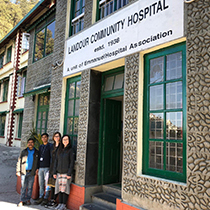 Students visit inpatient acute and outpatient pediatric clinics. Students participate in sharing their current research with other international students and the Yonsei students and faculty. Students also spend time with the Yonsei OT students sightseeing, eating, and learning each other’s cultures. South Korea is a peninsula in eastern Asia with its southern half bordering the Sea of Japan and the Yellow Sea. In comparison to the US, it is slightly smaller than Pennsylvania but slightly larger than Indiana. It is largely mountainous and hilly with wide coastal plains in the west and south. South Korea has a population of over 51.1 million (51,181,299) people and Korean is its official language, however more and more citizens are speaking English as it is being taught as early as primary school and English classes are becoming more popular over the years. Completing part of my professional rotation in Shijiazhuang, China will be one of my most momentous memories that will stay with me forever. This experience increased my confidence as a student and as a future healthcare practitioner. I was enticed by the opportunity to see a new culture and be out of the country for the first time to do what I love! I was also intrigued by the idea of what occupational therapy looked like for people in a different part of the world.